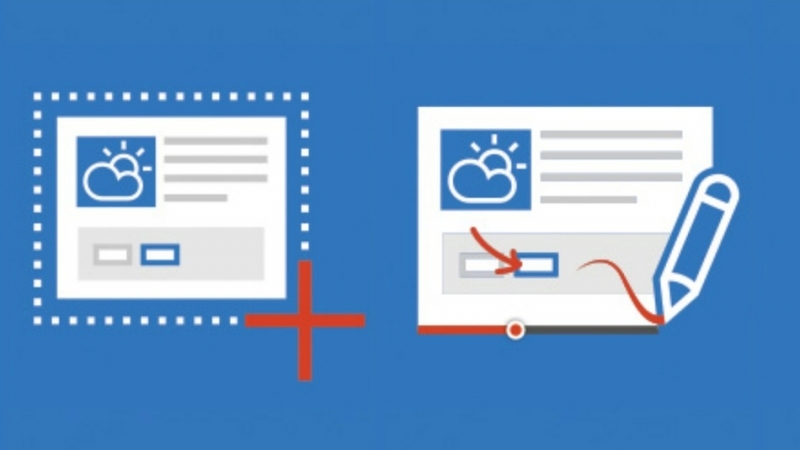 Microsoft has released a free beta version of its new screenshot capture tool called Snip. The standalone app considerably simplifies the screen capturing and sharing process, and allows users to add text, drawings and even audio narration to their screengrabs. Once the Windows app is installed it floats at the top of the screen so it can be easily accessed. A basic capture is copied to the clipboard, but is automatically transformed into an MP4 file if audio is added. This can be embedded on websites or, providing you upload it, viewed from a URL hosted on Microsoft’s servers. When using the capture tool, the pixel dimensions of the highlighted image are displayed along with a magnified view of the area the crosshairs cover. Anyone wanting to create an image from scratch can use the app’s Whiteboard feature. There’s also a camera option that lets users take a photo and then add their own text and narration to it. Although there are a number of screen capture tools available for Windows, the fact Snip is very easy to use and free makes it one of the better options. Microsoft already offers a clipping tool called OneNote Clipper, and the use of e-ink to make notes on web pages is one of best features of its new Edge browser. Having tried Snip out myself, I would definitely recommend it to anyone looking for a simple and effective way of capturing and manipulating screenshots. It may not come with a whole slew of options, and be a tiny bit buggy, but that will likely change once it moves out of beta. To learn more about Snip, check out the video below. Or you can just download and try it out.